I continue to ask for Dr. Gillespie because he treats me with respect and kindness, he never makes me feel he’s in rush and that my questions are unimportant. I continually recommend him to people in my area and will continue to ask for him! – Lanalee P.
Lobby is very welcoming and comfortable. The staff deserves 5 stars for customer service, they are amazing! All aspects of the visit were wonderful. Even with a kitty that is very sick, the diagnosis and treatment was right on target and is helping my kitty live longer. I wouldn’t take my pets anywhere else but here. The staff I dealt with was professional and compassionate. They made me feel very comfortable and they made my kitty feel comfortable. I will be recommending Oakland Animal Hospital to my friends and family. Also, Dr. Tim Duncan is our kitty’s doctor. He showed amazing compassion and thorough diagnosis and treatment for my kitty. He is an amazing Dr. and we will be returning to him for future services with our other pets. – Sharon D.
I few years ago, we had one of our animals get sick unexpectedly. We ended up having to have her put to sleep at the Emergency Clinic right across the street from Oakland Animal Hospital. The next day, we had scheduled a regular vet visit for our two dogs. We saw Dr. Brookens that day and it was a wonderful experience. She took time to ask about the cat that we had lost and explained to us in great detail about the condition she had that took her life. I am so grateful to her for taking the time to explain it to us even though we were there for something else. The staff at Oakland Animal Hospital makes everything so easy and is always there to help us with anything that we or our pets need. We have seen most of the vets in the practice and each one is very professional and caring. Dr. Gillespie took the time to come in and speak to my son’s kindergarten class about being a vet. Dr. Brookens took time out of her day to talk with my son about his possible career as a vet. I am very proud to let everyone I know that we go to Oakland Animal Hospital. – Paige B. We have been going to OAH for many years and have always been treated with care and compassion. 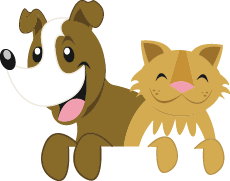 Everyone truly cares about our pets and we are always able to get an appointment when needed. We will never consider going anywhere else! – Cindy W.
OAH is the best veterinary hospital hands down! Everyone there from the front desk to the techs to the doctors are so caring and treat our dog like she was their own. We had our beautiful black Lab, Yzie, who was like my 3rd child taken care of by OAH and when it came time to make the decision to say goodbye to here, Dr. Gillespie helped us through our choices and the decision-making process. I won’t say it was easy, but his support and comfort made us feel like we were doing the right thing. A year and a half later when we decided to get our new Lab, Abbey, we had no doubt that we were going back to OAH and they’ve been amazing with her as well. Thank you for all you do! You’re the best! – Anne H.
Love this place Dr. Monica is our vet. When we had to put our Hugo down he was crying right along with us.. they are very caring. When we got Karma he got right down on the floor and was playing with her, she gets excited when we tell she is going to see Dr. Monica, ALL of the staff are wonderful! – Gloria D.
Our Makena, a Yellow Lab, was extremely sick. We took her to the local Vet, who after 2 days of them seeing her, said that there was nothing that could be done, and she only had 2 days left. I was extremely upset at the thought of losing my best girl…so we decided to take her to OAH. Dr. Pillsbury examined her, and said that indeed we did have a very sick girl, and that she would have to stay there on an IV to try to get her better. She also said, to expect the worst but hope for the best. As Makena would not eat or drink anything, we were told that we could stop in every day and try to bring her something that she may get the urge to eat. Well…we didn’t have much luck…she still did not want to eat. Imagine our surprise when we came in one afternoon, and here was one of their sweet Vet Techs, sitting inside the crate with my girl…along with 6 bowls of different kinds of food…just trying to get her to take a liking to something. That really touched our hearts…to see just how much every single person there truly does care about their patients. Well, after 10 days of being in OAH, Dr. Pillsbury called me with the great news…that Makena could come home! She was eating and drinking…small amounts, but what a big landmark for her!! Her kidney and liver levels had been at an extremely dangerous level, along with Pancreatitis. Thanks to Dr. Pillsbury and EVERYONE at OAH, we still have my best girl, Makena, 4 1/2 YEARS later. I can’t thank them enough for everything they did, and keeping us posted with any changes, and the compassion that everyone showed for my girl. Thankfully, we didn’t listen to the local Vet and took her for a 2nd opinion at OAH. My girl is still here and as sweet as ever. Thank you Oakland Animal Hospital, and Dr. Pillsbury for everything that you do!! – Joyce S.
It started many years ago, my trust, my loyalty, my not having to second guess what Dr. Monica and his incredible staff of people who truly care for our family of pets…My German Shepard, Harley, would run to the door and become so animated we would wait until the last minute to tell him of “Going to see Dr. Monica”…There is always a window of time for my pets, an warm greeting when we walk in, kindness for both myself and my pet family…They have set the standards of Pet Care and have never lead us down a wrong path…I know my animals are happy, healthy and well for their expertise…Blessed are those who take care of our animals with love, kindness and compassion… Glenda E.